Agriculture Commissioner Ryan Quarles, who launched the Kentucky Hunger Initiative and assembled the task force last spring, will lead a meeting of hunger advocates and local leaders at the University of Pikeville at 2 p.m. EDT. Kentucky Department of Agriculture inspectors discovered a credit card “skimmer” during a routine inspection of a motor fuel pump at a Richmond retail establishment earlier this month. State and local officials filed suit in Mercer Circuit Court on Tuesday disputing Charles and Maria Borell’s claims of ownership on 43 horses found abandoned on a Mercer County farm in June. Kentucky farmers can reap tremendous benefits from international trade, and the Kentucky Department of Agriculture (KDA) is prepared to help, Agriculture Commissioner Ryan Quarles said at the Kentucky International Trade Summit Sept. 13. The mock accident during Friday’s “Pep Rally for Life” at Brooking Park was designed to show students how one moment’s inattention behind the wheel can lead to tragedy. 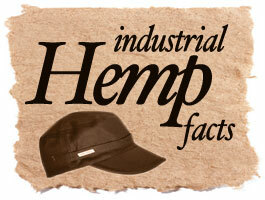 Agriculture Commissioner Ryan Quarles urged the federal government to reconsider positions that would impede the ability of Kentucky and other states to carry out research projects on industrial hemp. The weather may be hot right now, but when autumn officially arrives Sept. 22, the days will begin to cool, the pumpkins in the patch will be ripe for picking, and a tractor tugging a wagon full on people sitting atop hay bales will become a common sight across rural Kentucky. The U.S. Department of Agriculture’s National Agricultural Statistics Service (NASS) released its crop production report recently from the September Agricultural Yield Survey conducted at the beginning of the month. Seven months after a three-alarm fire destroyed the historic home of Blue Grass Stockyards, representatives of the company, the city of Lexington, the cattle industry, and the state broke ground on a new facility. In this column, issues facing the dairy industry are discussed with Carl Chaney, a longtime dairyman and co-owner of Chaney’s Dairy Barn, a dairy/retail/restaurant operation in Bowling Green. Professionals with the University of Kentucky Cooperative Extension Service are encouraging producers to prepare for this occurrence and to use the proper techniques and equipment to safely remove stuck farm equipment. Kentucky recorded 13 deaths in agriculture, forestry, fishing, and hunting in 2015, the Kentucky Injury Prevention and Research Center stated in its annual report.